Welcome, Sue Rovens! 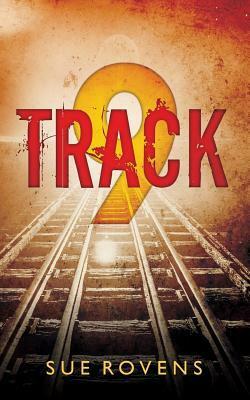 Sue was here last year with her thriller novel, Badfish, and returns this year with her newest thriller, Track 9. After a catastrophic railway accident leaves a trail of carnage and devastation in its wake, the small train station in Rain, Germany is shuttered. Six months later, Gary and Grace Wolf, returning home after their belated honeymoon, find themselves trapped inside the now defunct terminal. What they discover within its walls leads them to make harrowing decisions. What they learn about each other pushes them to the brink of disaster. Back in Bloomington, Illinois, their best friends, Mike and Sarah Waverly, await their return. A few hours before the plane is scheduled to land, Mike becomes tormented by troubling premonitions concerning Gary and Grace. Driven to find out the truth, Mike finds himself battling mysterious and inexplicable obstacles that plunge him into his own personal hell. Everyone’s fate hangs in a precarious balance as the clock runs out. I would be hard pressed to think of a better horror movie (granted, it’s only August as I write this, so who knows what’s to come yet in 2017), than “Get Out”. 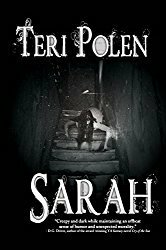 Not only does it have great writing, believable characters, and no real reliance on the genre’s much-overdone jump scares, but it delves into issues/topics that push some of society’s boundaries. The presentation of race relations and the confrontations of stereotypical behaviors are beyond amazing – they are needed. Not only does it make the viewer (in some cases) uncomfortable, but it adds a strong element of what is REALLY happening in our world today. It’s not done in a cartoon-ish or over-the-top way. It’s subtle. It’s underlying. And sometimes, it’s blatant and in-your-face. Plus, the horrific aspects of the movie are spot-on. I would say, overall, it’s more of a thriller than straight up horror, but it’s close enough to that line for me. I would absolutely recommend seeing “Get Out” if you want a horror/thriller movie that’s intelligent, timely, and will make you think about it long after the credits roll. This is kind of a two-parter. I always LOVED getting Reese’s. Oh, and Butterfingers. Loved ‘em. Still do. Having said that, my favorite Halloween candy is actually anything “retro” or “old school”. It’s not so much the flavors or the taste, but the nostalgia it brings. Seeing Dots, Red Hots, Mary Janes, Razzles, Good n’ Plenty, Candy Corn, BB Bat Suckers, and the dreaded tubes of Neccos sends me right back to the late 60s/early 70s. It’s a tough question. I’m assuming, for the sake of this ‘interview’, that I would be going back as an adult and at the age I am now. At this time, I am revising In a Corner, Darkly: Volume 2. Back in 2013, when I first released it, I rushed through it. It wasn’t my best work. I was still new to the whole writing/publishing/indie world and I hurried through the process. So, I’m going back through every story, making them better, taking out ones that didn’t work, and adding a few new ones in. My hope is to be finished by the end of 2017 (or earlier, if the timing works out) and have it available in time for the holidays. I have to take time off, especially if it’s a novel. I might work on some short stories, but after completing such an involved and time-consuming project like an entire book, I find that I need to focus on marketing for a little while and give my mind a break from the writing aspect. I can’t force myself to sit down in front of the computer and be creative. It’s there or it’s not. I think that happened with Volume 2 (the first time). I felt like I HAD to create. That’s what other people do, right? For me, it doesn’t work that way. My writing is much better when it’s organic and spontaneous, not scheduled and forced. That’s one of the great things about being an indie writer. The most obvious answer would be “to hit it big”. But, if I’m being realistic, I would love to be able to make a reasonable living with my writing. Not on the level of J.K.Rowling or Stephen King, but enough so if someone asked me what I did for a living, I could say “I’m a writer – that’s how I pay my bills”. 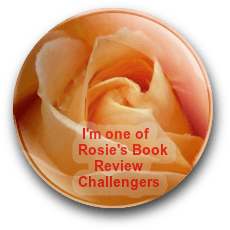 Sue Rovens is a suspense/horror indie author who is an active member of the Chicago Writers Association. Her two novels, Badfish and Track 9, are available in both paperback and Kindle formats. A third novel is being processed in her head…with the hope that this year’s NaNoWriMo (2017) will see the first draft of this tale. When not writing, Sue collects antique advertising, clocks and radios, watching movies, reading, and cheese. She also runs, slowly. Geese have been known to out-lap her. 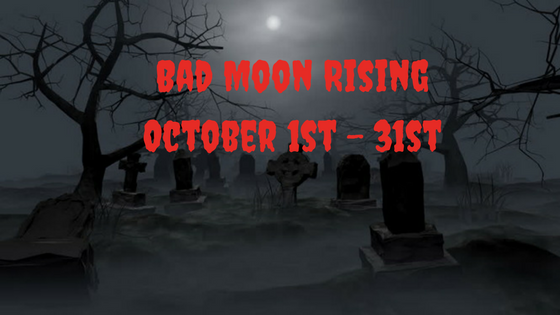 Teri, Bad Moon Rising is off to a howling-good start. Sue’s book sounds deliciously intense. I enjoyed the interview too. Hugs! So that’s what the howling was all about. Hugs, Teagan! Good answers, Sue. Thanks, Teri. Two for two. We have the same taste in candy bars, and I’ve been meaning to see GET OUT. Fun interview, Sue! Then we all have excellent taste in candy, Sue. I saw get out a couple of months ago – definitely one of the better horror/thriller movies out there. I loved Razzles and Zots! Great interview. Those I’m not familiar with. Thanks for stopping by, Jill! They were hard candy with a fizz in the middle. Who knows what type of chemicals they used…LOL! That’s something to think about – or maybe you shouldn’t dwell on it too long. Funny you said that about the cover – I started to comment on it this morning before posting. We’re sympatico on the candy corn – like seeing it, not eating it. Thanks! It was a fun interview. A BIG JUICY shout out to Teri for doing this! Thank YOU! Loved the candy answer. All those retro treats brought back so many memories. I completely agree—it’s not about the taste but the nostalgia. Track 9 sounds intriguing, and that’s a great, bold cover. I think majority rules on that eye-catching cover, Mae. Thanks, Diana! I always try to buy Halloween candy I know I won’t eat – so nothing chocolate or peanut butter. Candy corn is always safe in my house.